Corian’s new family of quartz surfaces is now offered in ten new colorways, including a vivid gray called Slate. 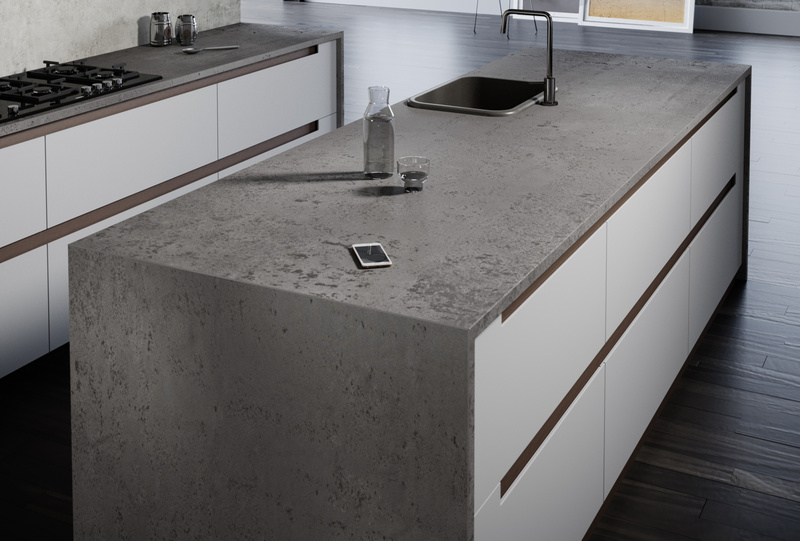 The engineered countertops are made with real quartz crystals, making them naturally “rock hard” and scratch-resistant. 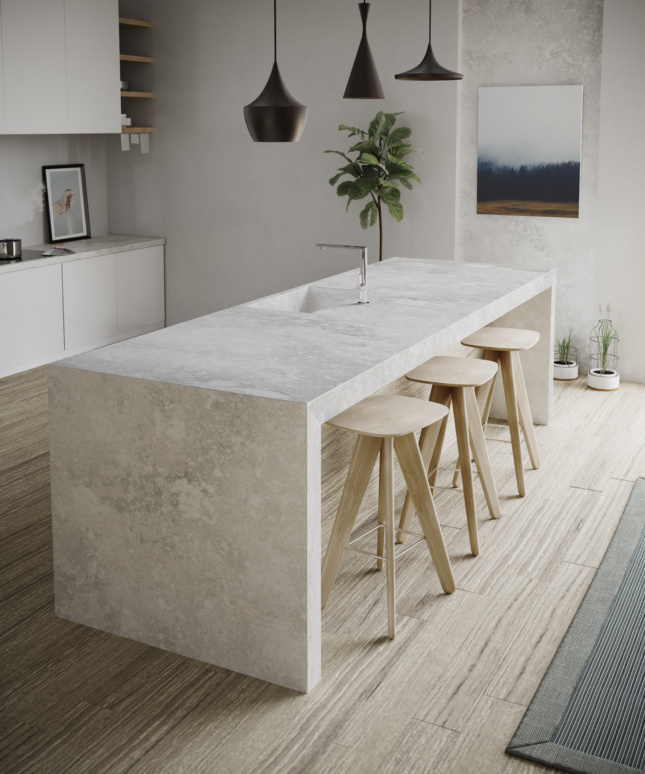 Though lightweight, XTONE is an incredibly strong large-format slab designed for countertops and tables. Made from sintered porcelain that is compacted and then fired, it is incredibly resistant to scratches and impacts, ice and frost, chemicals and stains. 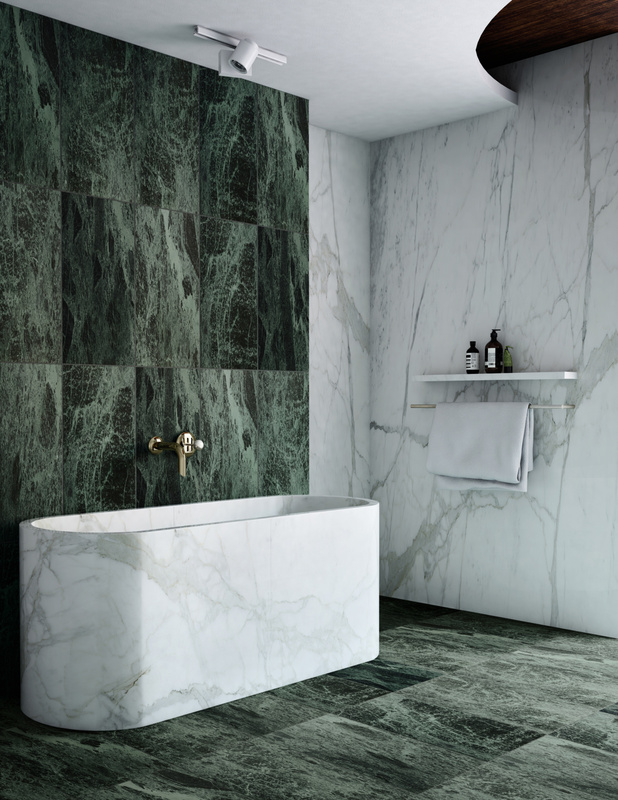 These deep-green marble tiles are quarried in the Valle d’Aosta in northwestern Italy. Verdi Alpi is shipped as 12″ X 24″ X 3/8″ tiles, making it perfect for almost seamless floor and wall applications. Inspired by Jean Nouvel’s extension to the Museo Reina Sofia in Madrid, Sofia Cuprum’s metallic luster mimics the underside of the metallic roof in the new extension. 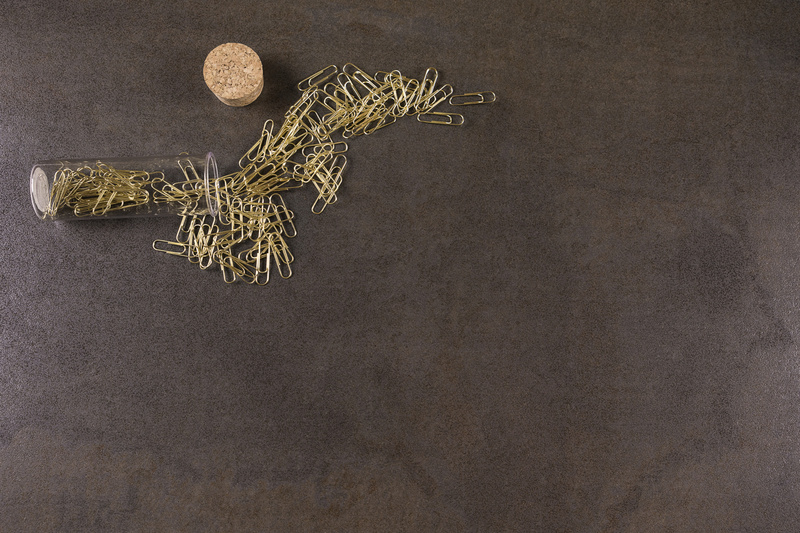 The metal-inspired shade in Neolith’s STEEL collection is made in a variety of thicknesses. The Silestone Loft features natural and human-made imperfections like those found in concrete and stone. 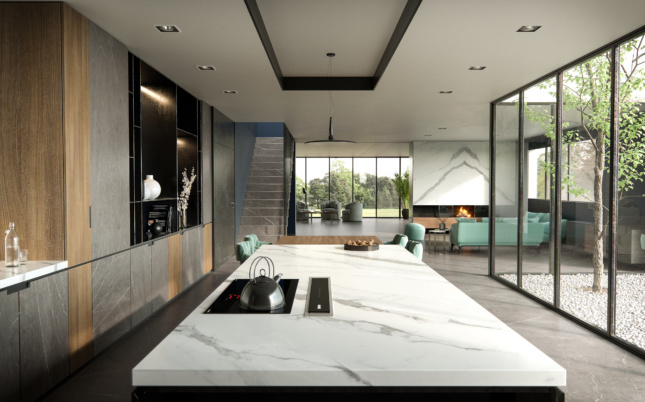 With an intentionally unfinished gritty touch engineered from 90-percent quartz, Cosentino’s new collection is as aesthetically pleasing as it is functional.